Groundplan’s on-screen HVAC estimating software is cloud-based, so you can log in from anywhere at any time and work from your internet browser with ease. Simply upload your plans, set your scale, and use Groundplan’s tools to complete your takeoff. 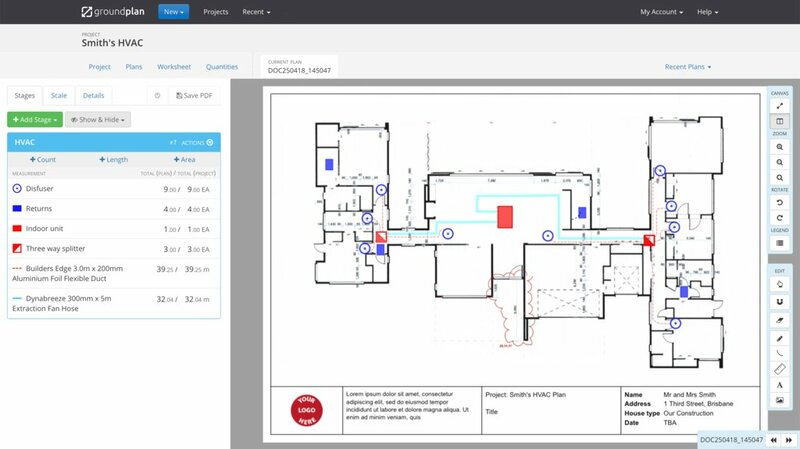 From HVAC takeoff to estimating, Groundplan has you covered. 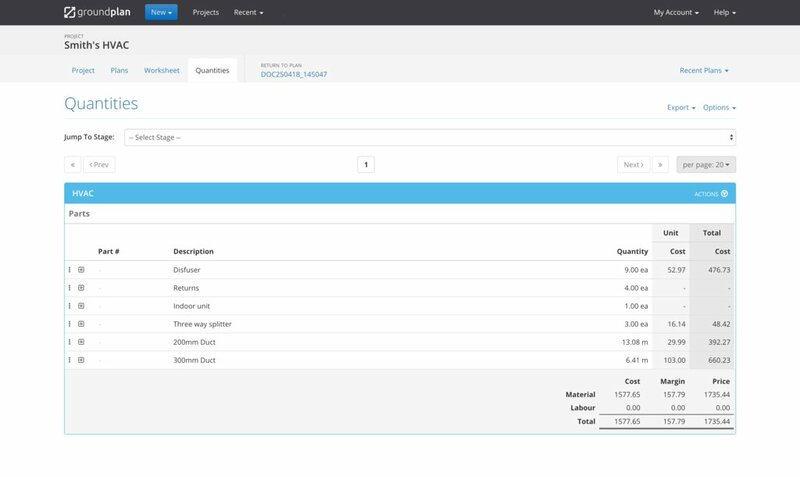 Export your bill of quantities directly to Excel or your job management system and get quotes to your customers faster.